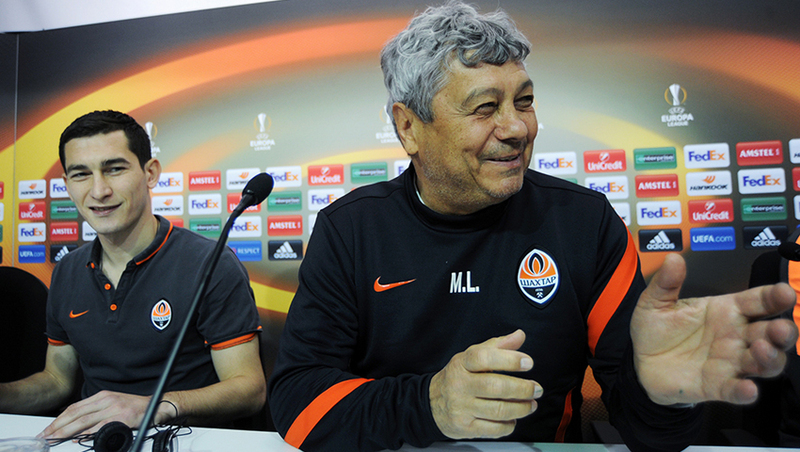 - Tell us, please, what adjustments will you make in Shakhtar’s play on the basis of the mistakes made in the first leg? - We have not made a lot of mistakes in the first meeting. The error occurred in the opening minutes, when they scored a goal against us. But generally, if we take into account that Sevilla usually create a great number of scoring chances, there were not so numerous in the game with us. The second goal, most likely, was a result of the ref’s mistake. Ferreyra did not touch Vitolo. Sevilla player faked it expertly and professionally. The opponents secured the spot kick they needed. We reviewed that episode many times – Ferreyra's foot never touched Vitolo’s leg. I am recalling the year 2007, when we played here, and they also awarded two spot kicks against us then. I will ask my players to be more careful, because the opponents have some very experienced players who know how to act in any given situation. It is clear that they will do everything possible to achieve a positive result in front of their fans. Speaking about the game in Lviv, it had a very good first half. We didn’t deliver a few counter-attacks, which we normally convert. Big mistake, perhaps, was the fact that in the second half, we got content with the 2-1 score and wanted to save the result to the end of the match. Tomorrow we are facing a toughest game. Sevilla are just the right team for European club competitions. They have no young players, all are experienced players who have have played for a number of top clubs. The team is headed by a strong coach who scrutinises the opponents with real quality and sets the game plan very well. - After the 2-2 score, you will have to take risks, perhaps, just from the off. Does it make Shakhtar’s objective for the encounter still more difficult? - Let's see how the game develops. It’s your opinion that we will risk it. While the match will provide a lot of options. So let's see how we will operate. Everything will depend more on the home team’s play. They are very likely to be cheered on by the audience filling the stadium. And we should also take advantage of that. - Both teams well know each other, having studied each other well. Is it possible to spring a surprise at this stage of the competition? And who can do that: you or Sevilla? - The surprise would be, first of all, Taison performing at his true level. Because in the first leg, he used just 50 percent of his capacity. If Taison delivers his peak form, our team will greatly benefit from that fact. I think that both teams will take to the field having almost the same lijne-ups as they did in the first leg. With the only difference that this time the teams know each other even better than before the previous meeting.